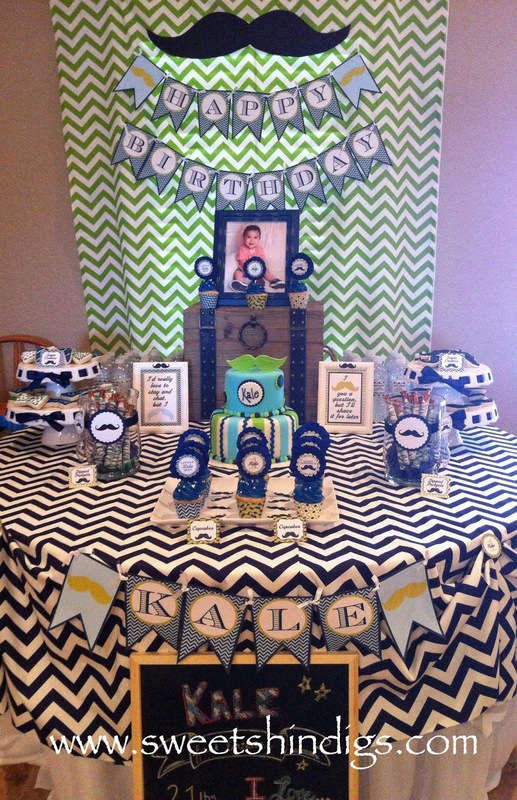 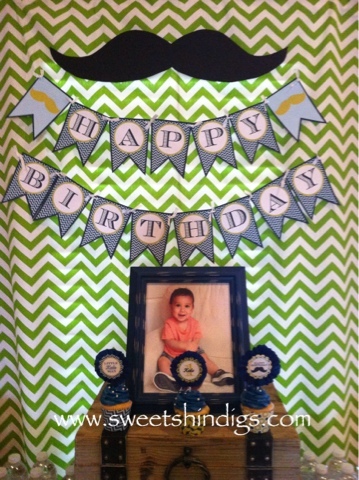 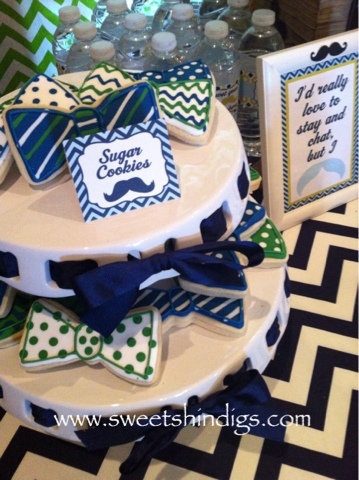 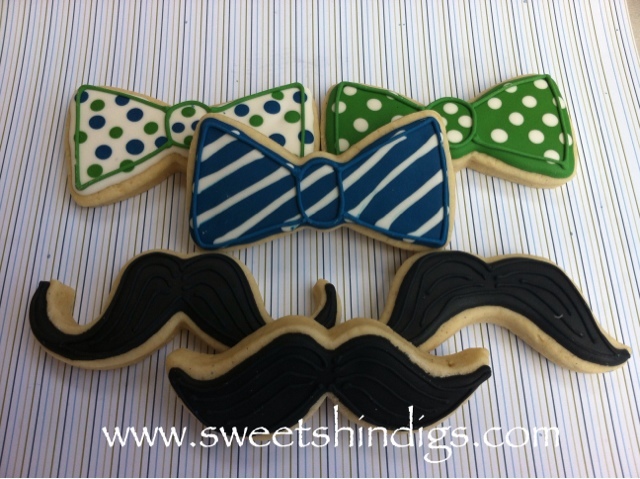 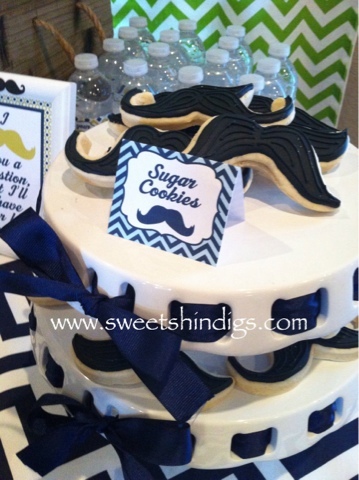 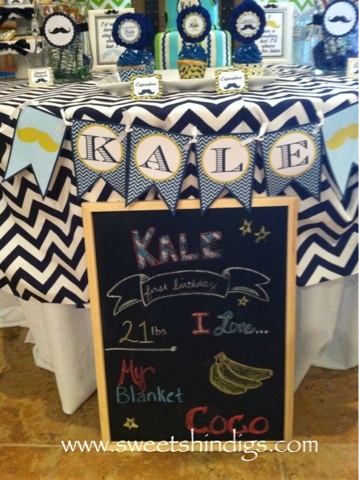 A dessert table for a little man's first birthday. 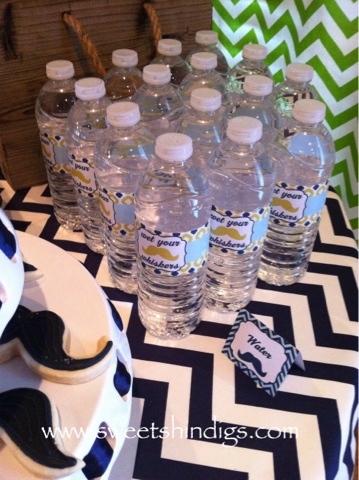 Water bottle labels to match the mustache theme. 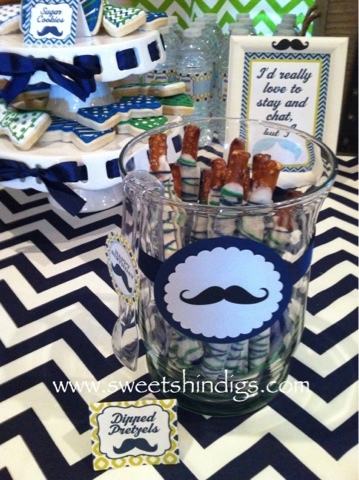 Dipped pretzel rods with vanilla candy coating and matching colors candy coating drizzles. 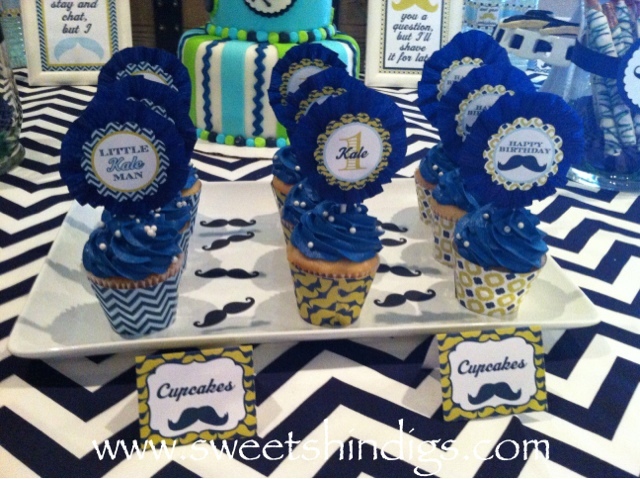 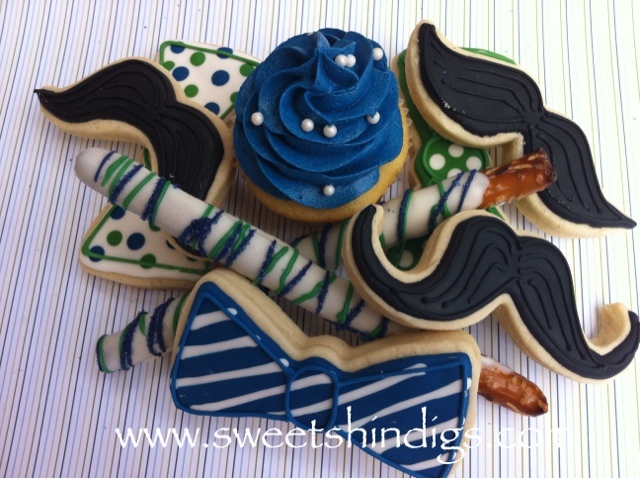 Vanilla cupcakes with coordinating cupcake wrappers and circle cupcake toppers.